Linksys Connect software is available on all Linksys Wi-Fi Routers and older Linksys Smart Wi-Fi Router versions (E4200 v2, EA4500, EA2700 and EA3500). This software allows you to manage your router’s wireless network features such as Security Settings, Guest Access,Parental Controls and Advanced Settings. If you would like to opt out of this free service, you may remove the Linksys Connect software. If you are using a Mac® computer, click here. 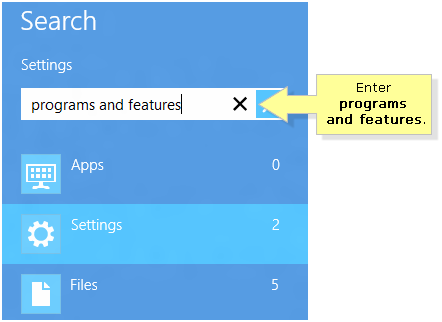 Right-click the Windows key in your desktop, then select Programs and Features. Locate and right-click Linksys Connect. Then, click Uninstall. 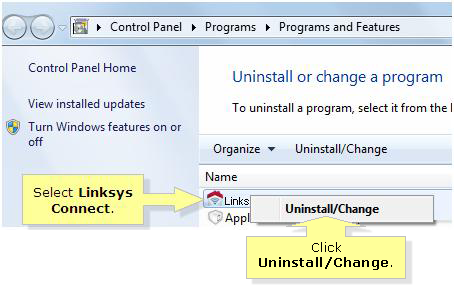 On the Uninstall Linksys Connect window, click the Uninstall button. Once completed, a window confirming that Linksys Connect has been uninstalled will appear on your screen. Take note of your router’s current Username and Password as you will need this information when you log in via the web-based setup page. Click the Close button to proceed. QUICK TIP: In case the Linksys Connect software is not listed in your Add/Remove Programs list, check your computer’s registry. For further assistance, visit Microsoft support. On the Charms bar, click on the Search charm. Locate and select Linksys Connect. Then, click the Uninstall/Change button. Once completed, a window confirming that Linksys Connect has been uninstalled will appear on your screen. Take note of your Linksys Wi-Fi Router’s current Username and Password as you will need this information when you log in via the web-based setup page. Click the Close button to proceed. 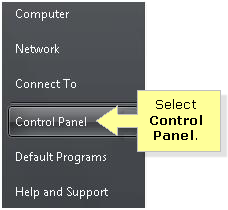 Click the Pearl button and select Control Panel from the Start menu. Once completed, a window confirming that Linksys Connect has been uninstalled will appear on your screen. Take note of your Linksys Wi-Fi Router’s current Username and Password as you will need this information when logging into the web-based setup page of your router. Click the Close button. 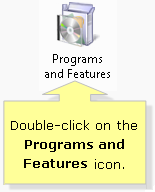 In the Control Panel window, click on Add or Remove Programs. 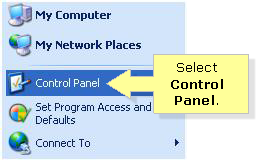 Locate and select Linksys Connect, then click on the Change/Remove button. Once completed, a window confirming that Linksys Connect has been uninstalled will appear on your screen. Take note of your Linksys Wi-Fi Router’s current Username and Password as you will need this information to login via the web-based setup page. Click the Close button. NOTE: If you have lost your Linksys Wi-Fi Router or Linksys Smart Wi-Fi Router’s Username and Password after uninstalling the Linksys Connect software, you may need to reset the router in order to access it. Your router settings will be reverted to its factory defaults. To do this, press the Reset button, usually found at the rear or the bottom panel, for five (5) seconds with a push pin. This will reset your settings and set “admin” as the Username and Password of your device.